Most of us spend a lot of time in our disorganised kitchens hurriedly making lunch or drinking coffee before heading out. Make mornings better by organising your pantry. Do it beautifully with the Cortica Glass Jar with airtight cork lid to lock in freshness. Size: L: 9.5 cm - H: 14.2 cm - Vol: 0.80 L / 27.00 fl. oz. 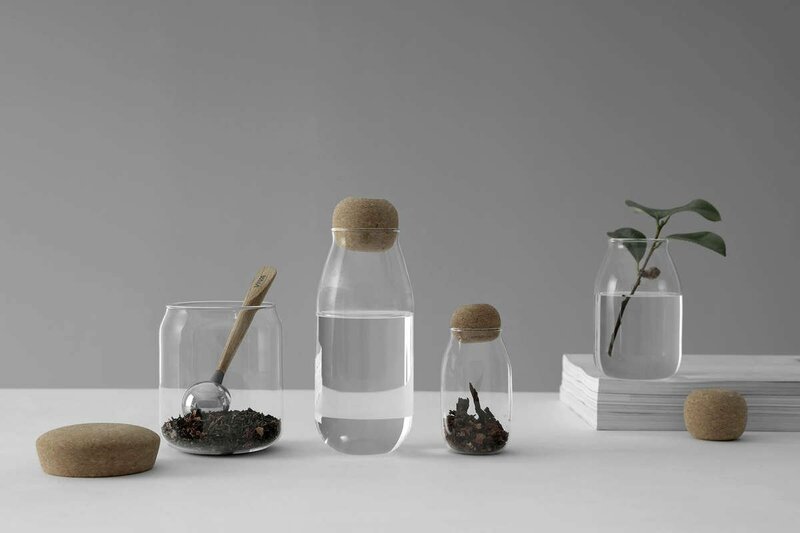 This jar is made from glass and the lid is made from cork. These natural materials look at home in any space. Is this jar dishwasher safe? The glass body of the jar is dishwasher safe. The cork lid should be hand-washed, as cork is a natural material that may degrade in the dishwasher. Can I store food in this jar? Yes, this jar is ideal for storing nuts, seeds, coffee beans or tea. These foods all look beautiful on display, so why not show them off in these jars to elevate your kitchen’s style. Does the lid create an airtight seal? 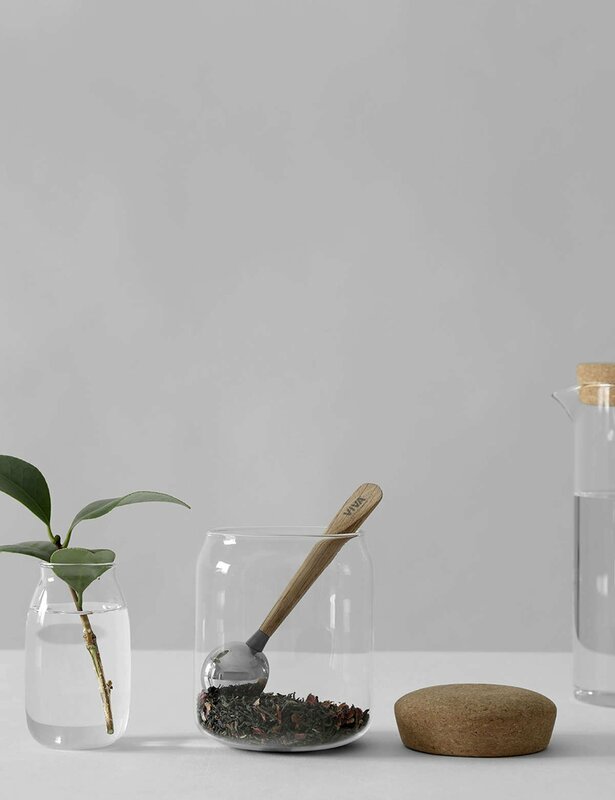 Yes, the lid on the Cortica jars creates an airtight seal, perfect for preserving the flavours and aromas of tea or anything else you choose to store in them. Will this fit in my pantry? This jar measures 9.5 cms x 14.2 cms, so it fits comfortably on most shelves.